Plan to raise a backyard flock? Familiarize yourself with local ordinances on these four issues that might affect your chicken aspirations. There’s snow on the ground, a chill in the air, and frost on our windowpanes. It’s the perfect time to start planning your spring backyard activities. For many, that includes flipping through seed catalogs and sticking notes by the listings for multitudes of amazing vegetables. 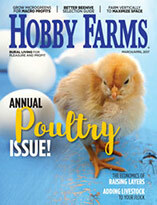 For others, the spring promises a huge step forward in hobby farming: the acquisition of a microflock. If you are among the folks who’ve decided 2018 is the year to start raising chickens, congratulations! 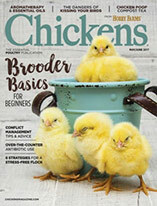 Not only is poultry keeping a practical way to supplement your homegrown food, it’s also a fulfilling way to watch the cycle of life at your fingertips—and the birds’ antics will keep you endlessly amused. 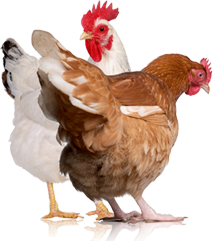 Before investing your hard-earned money, though, research the best breeds of chicken for your location and needs, select a coop that provides enough room for your young and expanding flock, and familiarize yourself with all local regulations that affect how you rear your chickens. Surprised? Don’t be. Even poultry farmers with dozens of acres of land are subject to local ordinances. It’s no longer a matter of just keeping a few hens for eggs, as was common a century ago. Today, many urban and suburban governments recognize the growing popularity of chicken keeping, and they have regulations meant to ensure everyone—poultry owners and their neighbors—coexist peacefully. Before you spend even one dollar on your future flock, contact your homeowners association (if you have one), your township hall, your county board of supervisors or your city council to learn what rules must be followed to raise a backyard flock. Four of the most common ordinances follow. Love the fluffiness of the Silkies, the docility of the Orpingtons, the beauty of the Spangled Sussex and the comical appearance of the White-Crested Polish? One of the most difficult things for new flock owners to do is choose which breeds they’d like to raise. When my husband Jae and I started our poultry farm, we limited ourselves to critically endangered and threatened breeds, thinking this would keep our numbers down. One week later, we had almost 30 chicks peeping from our brooder. Fortunately, we were well within the flock limit set by our township. Cities such as Ann Arbor, Michigan, and Boston allow as many as six hens, while New York City has no limit, and Madison, Wisconsin, limits flock size to four. Your property size might indicate what size flock you are allowed to keep. Check your local ordinances to determine how many chickens you are allowed before you start planning your flock. If you raise hens for their eggs, a rooster might not be part of your flock plans. If you plan to raise your own chicks or if your child is interested in participating in 4-H, you might want a rooster or two. As with flock-size limitations, most towns and cities have restrictions on roosters. In Lincoln, Nebraska, and Columbia, South Carolina, roosters are considered public nuisances, and their keeping in prohibited. In Los Angeles and in Albuquerque, New Mexico, flock owners may keep one rooster; in Fort Worth, Texas, two roosters are permitted. Your township ordinance director or city council office can tell you whether you can include roosters in your backyard flock. Gone are the days when you could simply come home with a trio of hens and a bag of feed. Today, many municipalities require would-be flock owners to apply for a permit in order to legally keep chickens within city limits. Permits are required to keep backyard flocks in Pittsburgh as well as Richmond, Virginia. They can be issued for a one-year period or for a greater length of time: Fergus Falls, Minnesota, offers a two-year permit while Ann Arbor, Michigan, offers a permit for five years. Applying for a permit might simply involve paying a fee, or it might involve submitting coop blueprints, attending a required class or obtaining approval from your neighbors. Your chicken coop and run might even require inspection by your town’s zoning director or department of health representative. Fulfill all your city’s permit requirements before bringing your chickens home in order to avoid fines or confiscation of your flock. Once they are old enough to lay, your hens will provide you with a bounty of fresh, delicious eggs. You might even find yourself with an extra dozen or two each week. After giving eggs away to your neighbors, friends and colleagues, your thoughts might turn to selling your surplus. Before you set up your roadside stand, however, check your local ordinances. Several towns and cities, including Knoxville, Tennessee, Iowa City, Iowa, and Brigham City, Utah, prohibit the sale of eggs laid by residential chickens. Avoid losing your egg money to fines before you’ve even earned it; verify with your township whether you’re permitted to sell your eggs.